Happy (early) Independence Day! I think we should all take a five-day weekend, starting Thursday. 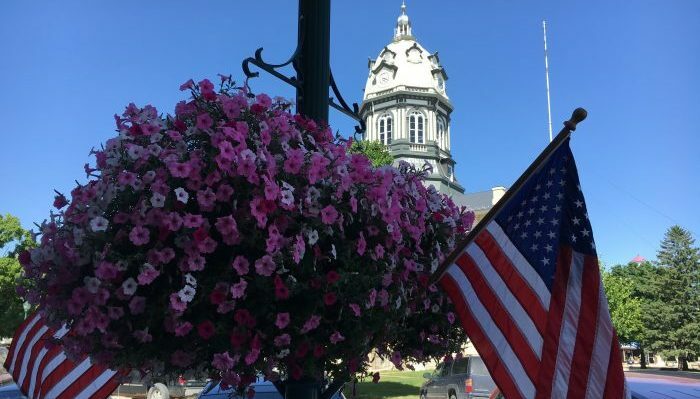 This Thursday (the 30th) and next Thursday evening (the 7th), the weekly Lawn Chair Night with performance by the Winterset Community Band will be held at the Madison County Historical Complex instead of the courthouse lawn. Supper will be served at 6:15 both nights, with the Historical Society serving pulled pork sandwiches on the 30th and the Winterset Lion’s Club serving hot dogs on the 7th. 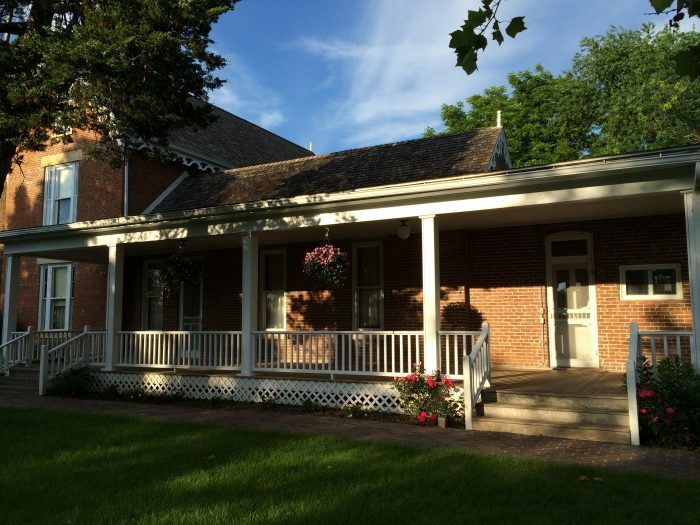 Bring a blanket or chair and enjoy the live outdoor music and entertainment on the west porch of the Bevington-Kaser mansion at 815 S. 2nd Ave. 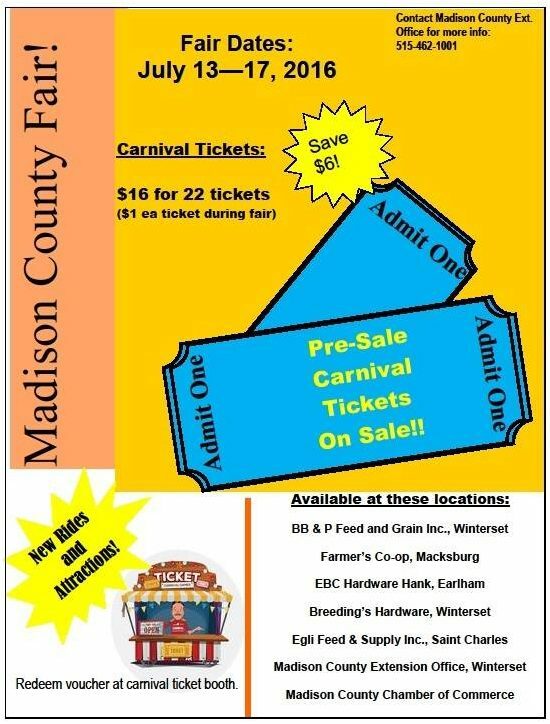 Lawn Chair Night with the Winterset Community Band will be held at the Madison County Historical Complex on June 30th and July 7th. 1st Avenue Collective will be hosting a wine tasting on Thursday evening, featuring wines by Madison County Winery, from 5:00 to 7:00 pm. 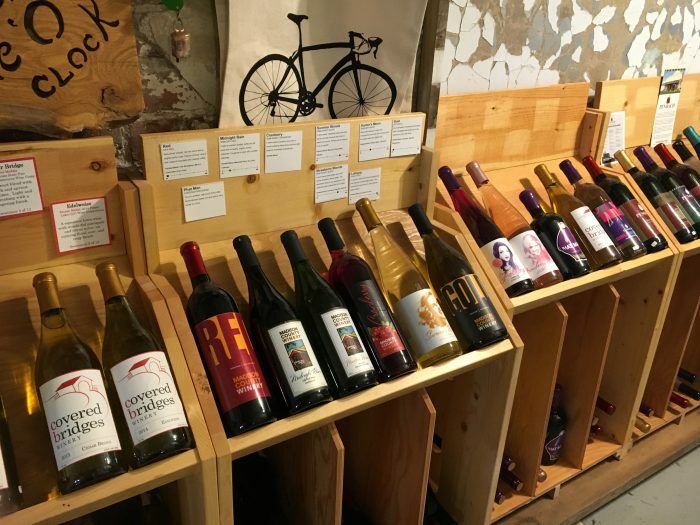 Check out the great selection of wines they have at 1st Avenue Collective while you’re there! 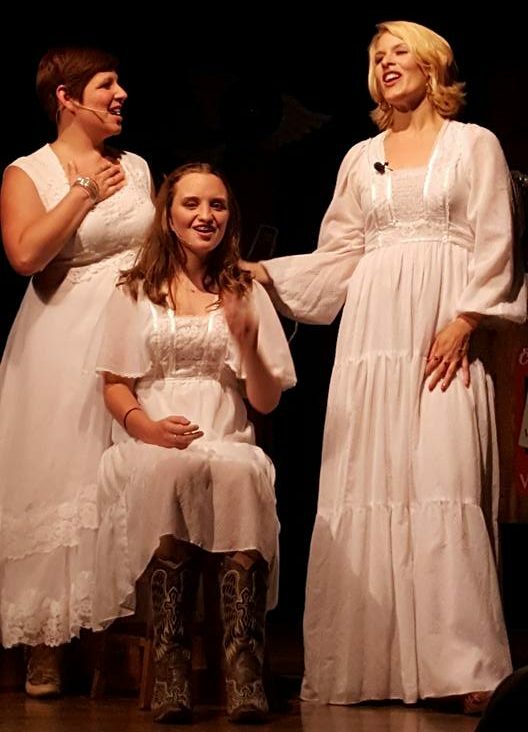 Honky Tonk Angels continues at The Winterset Stage this Thursday and Friday evening at 7:30, with optional dinner theater for the Friday showing. Contact them right away to see if there’s still availability for dinner this weekend, or make plans now to do it for their final weekend next week. Honky Tonk Angels is an all-local production the The Winterset Stage starring Megan Barrett, Olivia McNair, and Meredith McKay. The Winterset Library is hosting a reception to announce the winner of their Outdoor Art Competition on Saturday, July 2nd at 10:00 am. Friends of the Library has received models of artworks submitted by the schools of art, design and architecture at Iowa State University, Ball State University, and Dalhousie University. They are now on display at the Library. A jury is assessing the artworks and will announce the winner of the competition, who will create and install their work on the exterior of the Library. The jury is comprised of artists Robin Paul from Madhaus Gallery in Winterset, Jordan Weber from Fluxx Gallery in Des Moines, and Richard Saxton, from M12 Gallery and Assistant Professor of Art and Art History, University of Colorado. On Saturday evening, The Iowa Theater and Winterset Cidery are teaming up to present the movie Independence Day (starring Will Smith, PG-13) at Winterset Cidery, 1638 Highway 169. It’s a whole late afternoon and evening of fun, with barbecue from Up In Smoke available from 4:00 to 8:00 pm, a concert by retired U.S. Naval aviator Brick Imerman starting at 6:00, and outdoor movie beginning at sundown. It’s a free event and open to all ages. Just bring a chair or blanket and enjoy! Visit the-iowa.com to learn about the restoration of the historic Iowa Theater and wintersetcidery.com to learn about this new local gem. 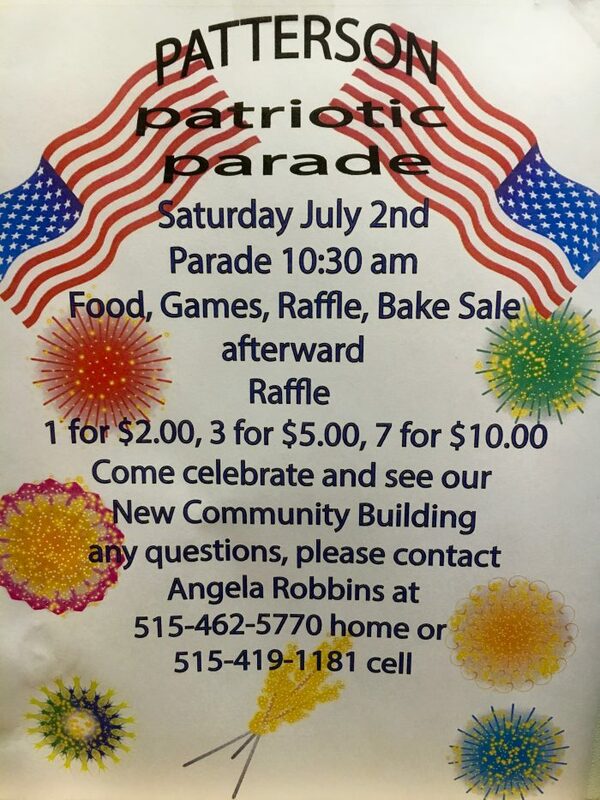 And the Earlham Freedom Festival starts Friday evening with a street dance from 8:00 pm to midnight and continues all day Saturday with a very full lineup of events, and fireworks at dusk. See the full schedule here. On Sunday, enjoy live music by Hot Tamale & the Red Hots at Two Saints Winery from 2:00 to 5:00 pm. July 9th will also be the date for a classic car show on the Winterset square, 4:00 to 7:00 pm. 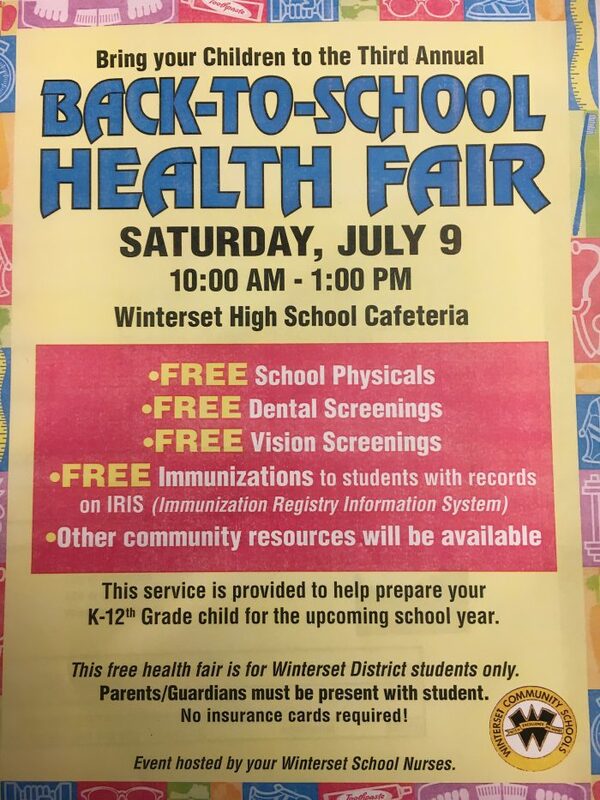 Coming soon to the Winterset Library, Blank Park Zoo will bring animals to the Library on June 29th at 11:00 am; Jester Puppets will be at the Library with their high energy program on July 13th at 11:00 am; Monday Family Movie (Zootopia) will be held at the Library on July 18, 2:00-3:30 pm; and Rick Eugene will provide a great comedy magic performance on July 26 at 2:00 pm. No sign-up is required for these four events, and all ages are welcome. On Tuesday, July 19th at 6:30 pm, you’re invited to A July Berry Jamboree! 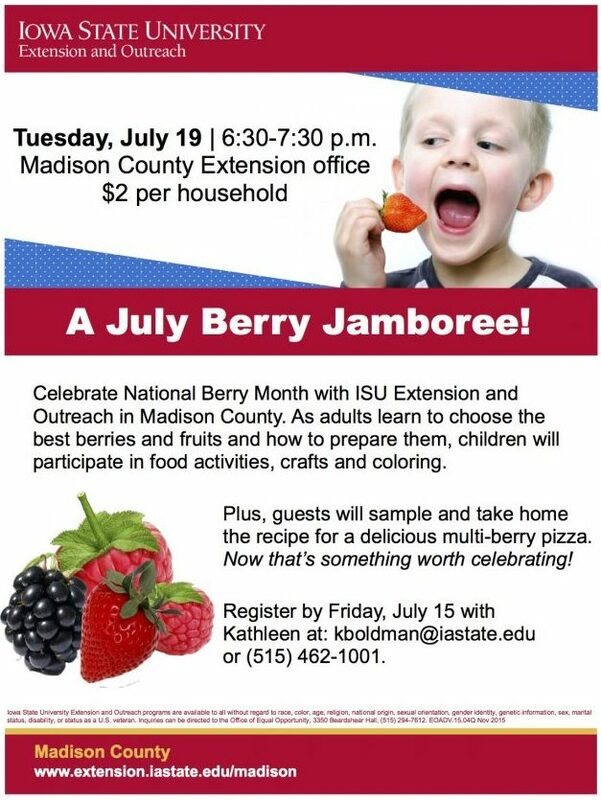 Celebrate National Berry Month with ISU Extension and Outreach in Madison County. As adults learn to choose the best berries and fruits and how to prepare them, children will participate in food activities, crafts and coloring. Plus, guests will sample and take home the recipe for a delicious multi-berry pizza. Register by Friday, July 15 with Kathleen at: kboldman@iastate.edu or (515) 462-1001. $2 per household.